His name is actually Roni but John and I think Macaroni is a cute nickname. The young horse belongs to John's parents and we finally got to meet him in the stables last Sunday. He was still very shy and would only let me pet him after slowly approaching him. 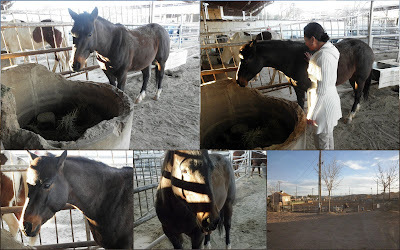 The equestrian center where he stays is really nice. 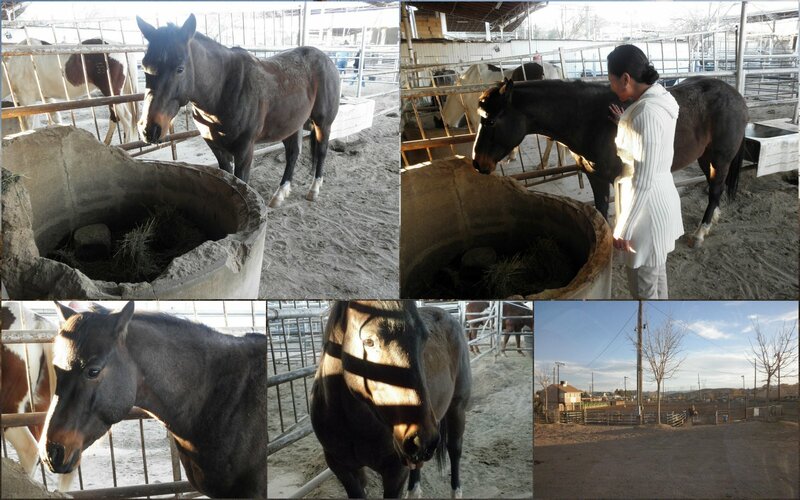 There are several large and small arenas to ride or train in and the horses have plenty of room in their stalls to play. There's convenient access to dirt trails that lead on for miles and miles without seeing a person if you wanted to run off into the desert. Back at John's parents' home, we sat down to dinner starting with proscuitto wrapped sesame sticks, goat cheese and crackers, and marinated artichoke hearts. 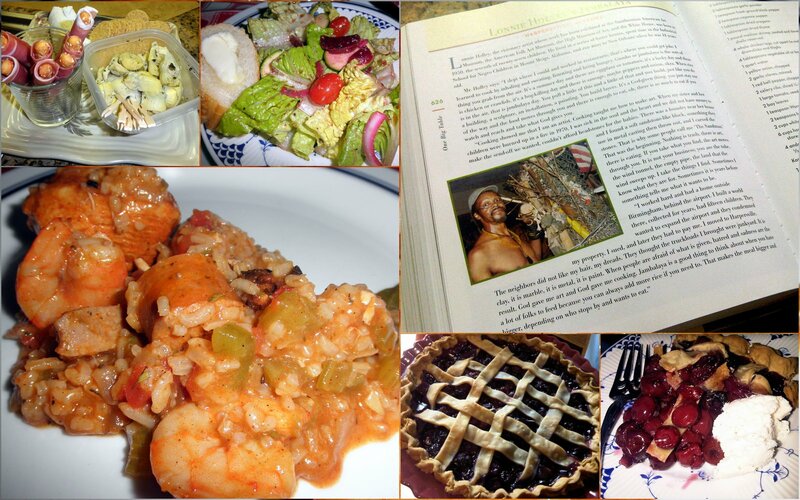 Then salad of fresh greens and jambalaya (the recipe was published in a book and contributed by a man who was one of 27 children and had 14 of his own). By the way, I learned that once of the differences between jambalaya and gumbo is the latter is a soup, made with a base of a very dark roux and has okra. We closed the evening with home-made cherry pie, vanilla ice cream, and hot tea while watching the animated film, The Incredibles. I had a nice weekend of bike riding with my team and family time.